Listowel – A Printer’s Legacy, is a wonderful record of printing in Listowel. It tells the story of printing in North Kerry 1870 to 1970 and was written by local historian, Vincent Carmody. This is a beautiful book, a fit companion to his, Listowel, Snapshots of an Irish Market town. Vincent a native of the Culture Capital of Ireland has once again proved himself to be a brilliant wordsmith. 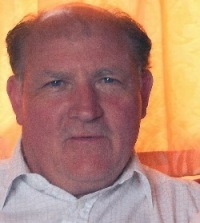 One Listowel printer was a colourful character, Bob Cuthbertson. Over two generations, Cuthbertson Printers printed bills for auctions, fairs, dances, dramas, political rallies and public notices, as well as tickets for raffles, dances and socials. Cuthbertsons also printed ballads etc. for many literary figures of the area. Posters, tickets and playbills etc. were usually displayed for a while and then discarded. But Listowel is lucky to have a collector who saw the value of these documents as an important piece of social history. In this book, Vincent shares with us his huge collection of printed memorabilia along with his knowledge of the stories behind the posters. Vincent is a painstaking researcher and he has gathered an unrivaled collection of printed items relating to life in North Kerry in the century between 1870 and 1970. He now shares this collection with us in this beautifully produced book… a collector’s item. The book was launched in New York before a big crowd by Dr. Miriam Nyhan Grey of the Irish Studies Department in NYU in the Kerry Hall in Yonkers on Friday March 8th. It is available online at listoweloriginals.com. 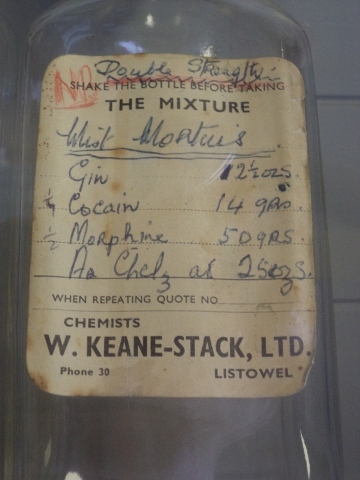 Credit for the idea for an oral mixture of morphine and cocaine to help patients in agony with advanced disease is to surgeon Herbert Snow who came up with the idea in 1896. The Brompton Cocktail is named after the Royal Brompton Hospital in London, where it was invented in the late 1920s for patients with cancer. It is unlikely to be used in the 21st century but I dug up an old “prescription” for it in Listowel. With a straight face I handed it in to a branch of Lloyds Pharmacy. You can imagine the reception I got. Joe Harrington is a man of many parts. 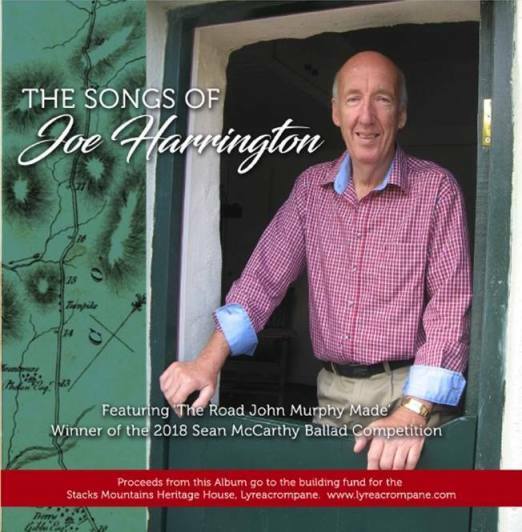 Among other things for the past eighteen years he has been producing The Irish Rambling House a show which he has taken to England for the past two decades to entertain the exiles. Joe was Mayor of Limerick when Bill Clinton visited here in 1998 and caused some controversy by quizzing the President on U.S sanctions on Cuba and bombings in Somalia. As the president was mounting the platform Joe whispered something to him. Now, twenty one years later, what he said has not yet been leaked to the world media. Editor's Note: Unable to access audio clip. And nearly all his works are expressions of his pride in north Kerry and the people and places that have helped shape it. All indicative of Joe’s deep love of his homeland. The singers include the late Weeshie Forgery and the late Fr. Pat Moore. RTE's Micheál O'Muircheartaigh and Donnacha O'Dulaing also help out on a couple of the tracks. Ballybunion's heritage as one of the most important locations on the planet when it comes to the telecommunications history of humankind . 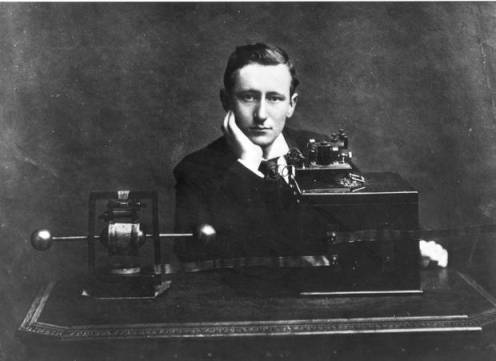 'Hello Canada, hello Canada,' These were the first words ever communicated live by voice across the Atlantic, when uttered by WT Ditchem in March 1919 in his historic transmission from the Marconi Radio Station in Ballybunion to Nova Scotia. Sadly, the original wooden wireless station hasn't been around since the Civil War era, but the Irish College made for a perfect replacement as all decamped there for the repeat broadcast to mark the 100th anniversary of that world-changing event. . It was successfully picked up at a station close to the original receiver in Nova Scotia in a communication that gave many present a thrilling sense of the history - not least the numerous amateur and professional radio operators from across the county and region gathered. Marconi’s daughter, 89 year old princess Eletha Msrconi Giovanelli travelled from Italy for the occasion. She transmitted the words, “Hello Canada, Hello Canada” across the Atlantic exactly one hundred years after her father made such a transmission possible. 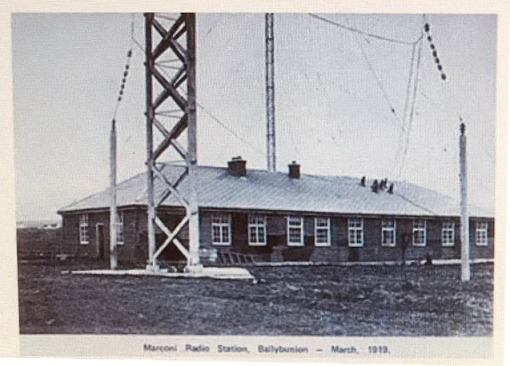 Padraig Hanrahan, who is one of the organisers of the commemoration, which will take place on Monday and Tuesday, says Ballybunion's links with Marconi should be celebrated. "This was a massive feat of engineering 100 years ago. There are great stories about how all the equipment was first taken to Ballybunion. When the equipment got to Listowel, it had to be put on monorail to Ballybunion, but it was too big for the train, so they had to get a steam generator to bring it. It took three weeks to bring it from Listowel to Ballybunion, which are nine miles apart," says Hanrahan. Following the broadcast, it was over to the old bandstand between the beaches where a special plaque was unveiled commemorating the extraordinary role Ballybunion played in world history. I told you last month that my friend, Padraig Reilly was going to Dubai as one of the Irish Bowling team, to compete in the Special Olympics. Well, he came home with a “clatter” of medals . Padraig is a member of Blessington Men’s shed. He was the only Men’s Shed member, from anywhere, to compete. Padraig we are proud of you .